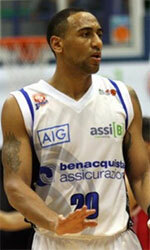 Jinotega (LSB) landed 27-year old American swingman Quinton McDuffie (197-104kg-90, college: Chowan). 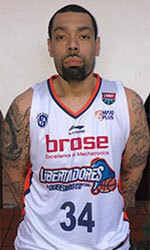 He played in the summer at Trujillo in Peruvian LNB league. The last season McDuffie played at KK Radnicki Gorazde (D2) in Bosnia and Herzegovina league. Among other achievements his college team won ODAC Tournament in 2009. McDuffie received also All-CIAA 1st Team award back in 2013. He is a very experienced player. And here thanks to pro basketball McDuffie experienced life in six different countries playing on four different continents. He is familiar with European, Asian, Latin American and of course North American leagues. McDuffie has played previously professionally in Argentina (Parque Sur), Russia (Planeta-Universitet Ukhta), Spain (Cantbasket), Barbados (Bridgetown), PBL (Providence SC) and Mongolia (Gurvan Tamir and Govi-Altai Mon Torkh). He attended Chowan University until 2013 and it will be his fifth season in pro basketball.